Contains high antioxidant level of 9.05% vs 5-6% for mass-market teas. 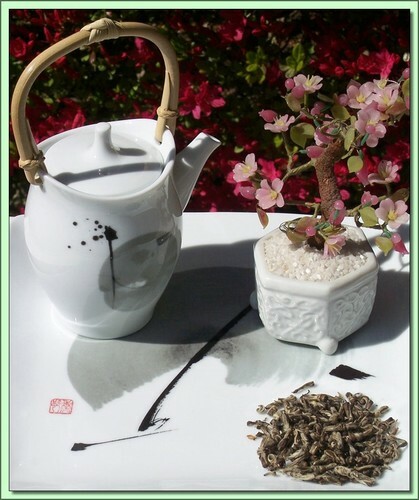 Character: This tea has a comparable jasmine character with a full flavored cup and a delightfully aromatic nose. The jasmine character of this tea is stunning. Jasmine teas are probably only second to Earl Grey in terms of the number of variations produced worldwide, and this is one of the finer versions we've tried. The tea is produced by layering freshly plucked jasmine petals with an exceptional hand plucked green tea from Fujian Province. If you love Jasmine tea, this is one you won't be disappointed with. Rich, luscious, complex - stunning jasmine character.